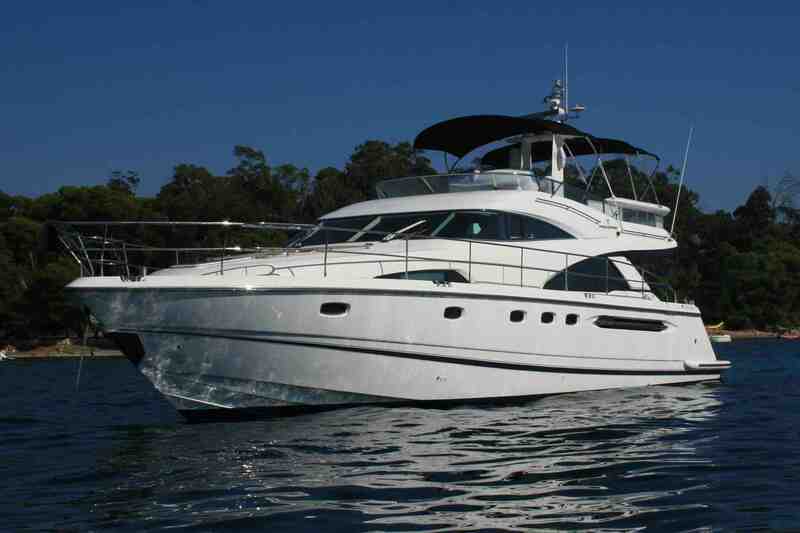 Launched in 2009, motor yacht WAVE is a Fairline Squadron 58 flybridge yacht. The yacht WAVE is based in the historic Port Vauban, Antibes, in the centre of the Cote d’Azur, and is able to cruise throughout the Western Mediterranean. 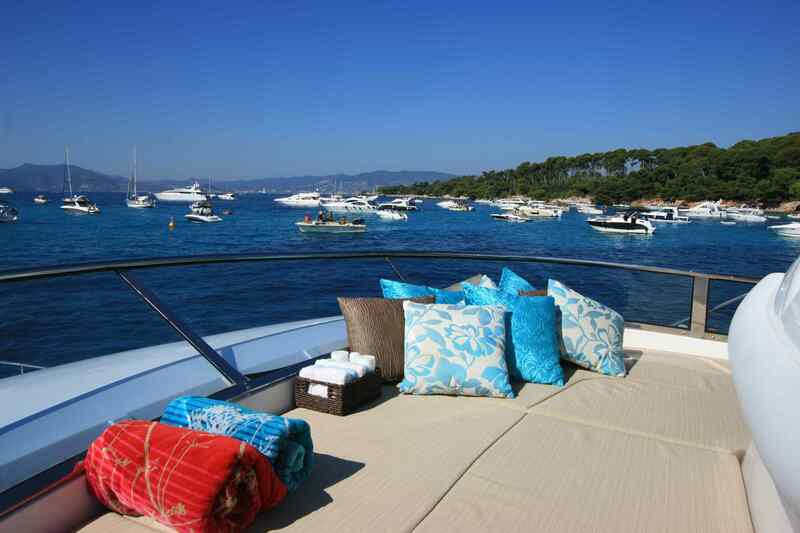 M/Y WAVE has a great layout ideal for chartering and is able to accommodate up to 6 guests overnight. 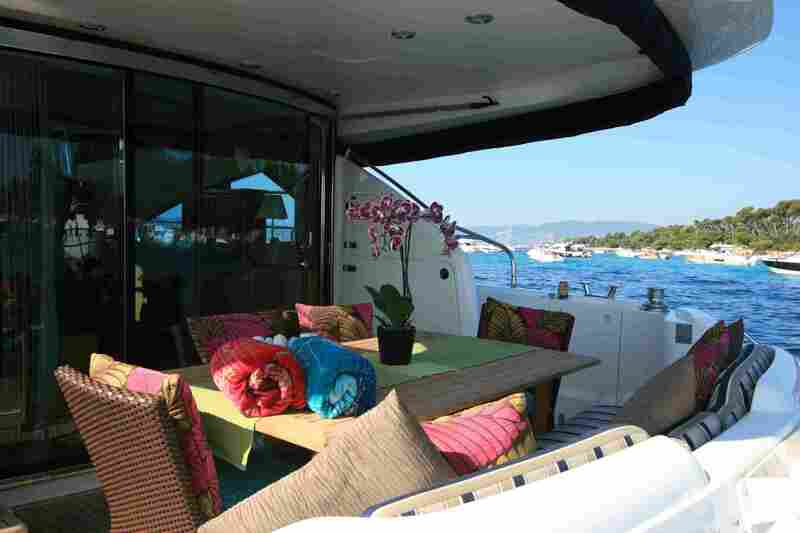 Outside, charter yacht WAVE has 2 large exterior dining tables and large sun pads on both the upper and lower levels. 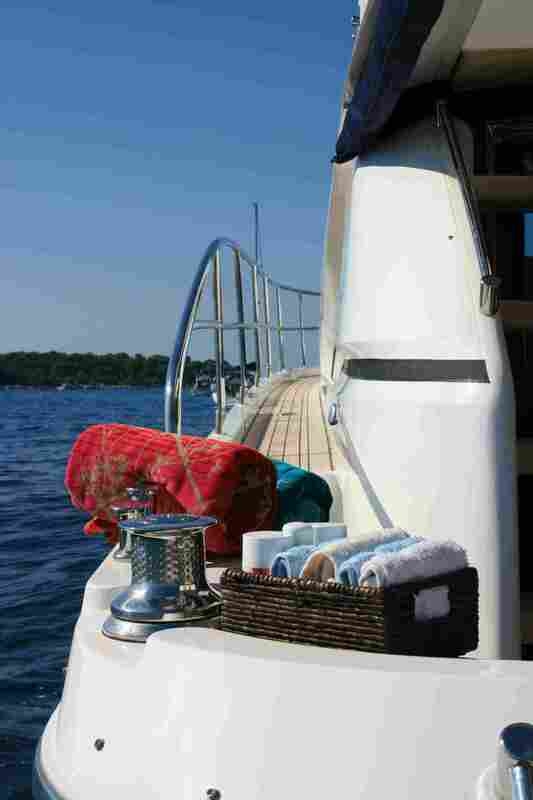 The lower aft deck seats 7 around a teak dining table and the flybridge seats 9 around another table. Both are superb spots for wonderful sociable lunches in the sun or stargazing barbeques after dark. The flybridge has a serving bar, fridge, sink, icemaker and barbecue. 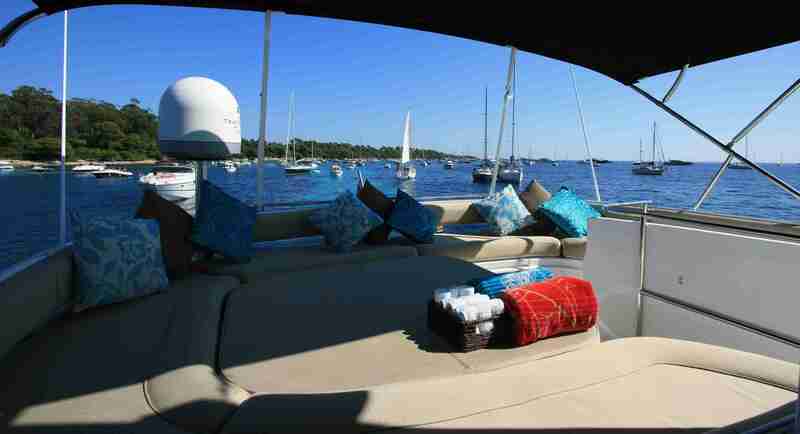 Sunbathe on the flybridge or enjoy shade under two biminis whilst listening to your favourite music on CD/radio/iPod. 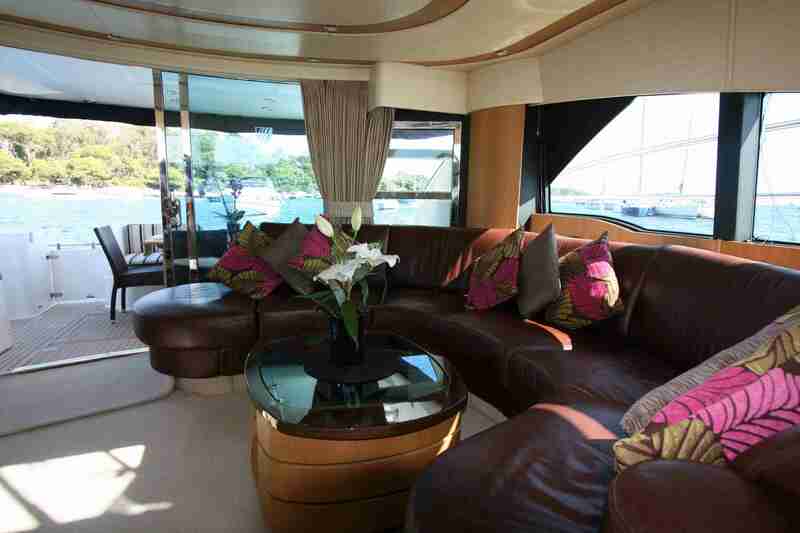 Inside, Fairline motor yacht WAVE has a unique combination of contemporary matt light oak furniture, dark brown leather sofas, designer cotton bedlinens, and luxurious shower rooms. WAVE’s saloon is stylish and contemporary with matt oak furniture with wenge accents and a Loewe flat screen rise and fall TV and Bose music system. Entertainment includes satellite TV (reception depends on location), radio, CD, DVD, iPod connectivity and a Wii games console. The WAVE yacht also has dining area forward of the salon and up a couple of steps that enables inside dining for 5-6 people. Stairs from here take you down to the 3 air conditioned guest cabins. 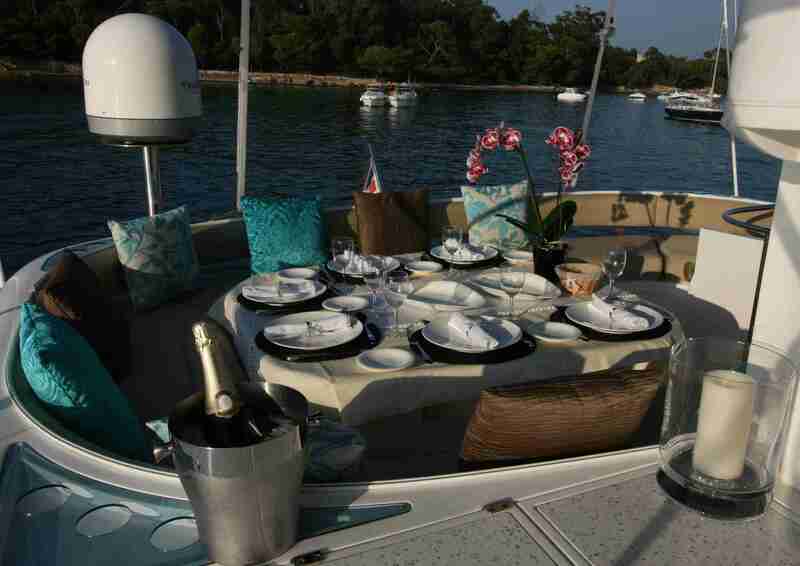 The galley of charter yacht WAVE is fully equipped and fine food is served on china tableware. There is also a separate utility room for laundry services. The Fairline Squadron 58 motor yacht WAVE has a range of water toys including a Williams Jet rib which will keep you amused and cool during the hot summer days. 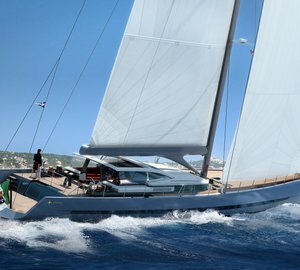 Each charter itinerary is unique and will be designed to suit you. The quality and service onboard M/Y WAVE is consistently excellent. 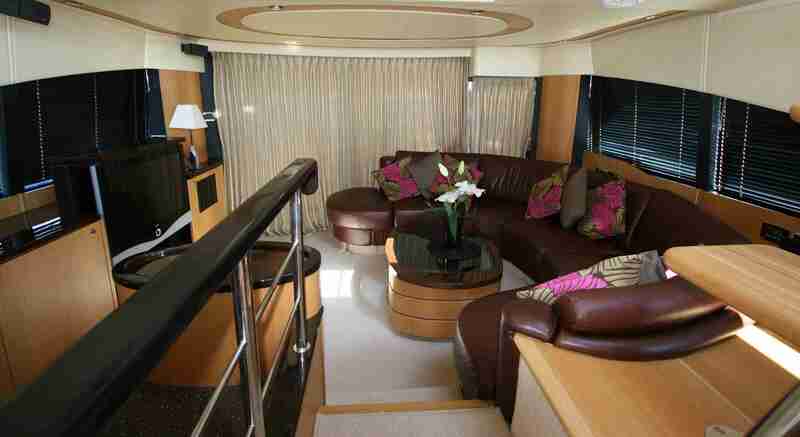 Motor yacht WAVE is able to accommodate up to 6 charter guests in 3 cabins. The master cabin has an en-suite shower room, and the VIP cabin and the twin cabin share the second shower room. Wave’s shower rooms have heated towel rails and are unusually large and luxurious for an 18m yacht. Luxurious bathrobes, towels and toiletries are provided for all guests. Toys, entertainment facilities and communications equipment onboard charter WAVE includes: Water toys, Donut/trampoline, Bathing platform and swim ladder, 2 x Sevylor kayaks: one 2-person, one 3-person, Snorkels, masks, fins, 2 x motorised Bladefish swim propellers, Water-skis. Communications include VHF, GSM, 3G broadband internet. Audio/Visual facilities include Loewe TV with electric rise/fall in the saloon, Satellite TV, Bose DVD, CD and radio, Sky satellite TV (not all satellite channels are available in the Mediterranean), CD Radio in master cabin, Wii games console, Library of music, DVDs and Wii games & guests are welcome to bring their own, Guests may use Wave's laptop computer for 3G broadband internet and email, or their own laptop connected by USB to the boat's 3G broadband, Guests may also use Wave's USB printer.